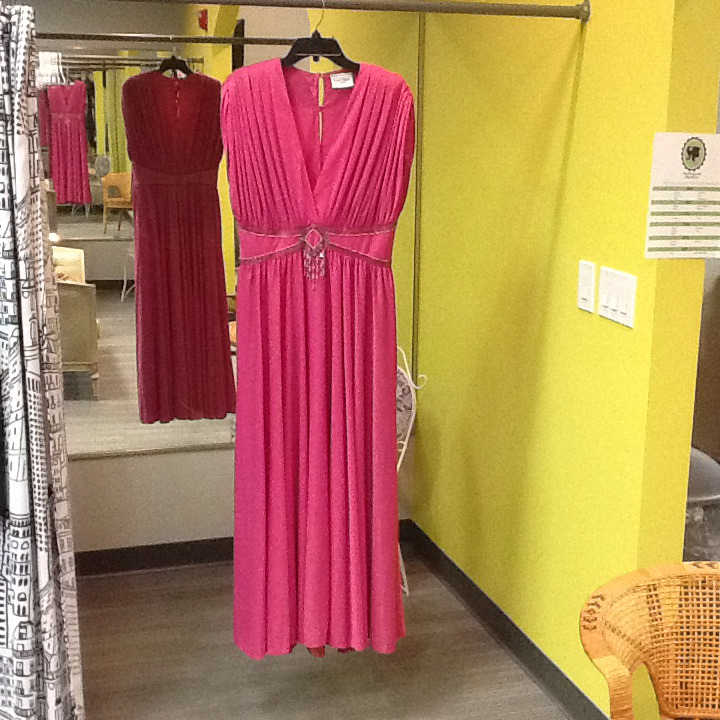 Fuschia, full length, Frank Usher Gown. All rhinestones are intact. Zipper plus 4 buttons up the back. Skirt is fully lined. True vintage.